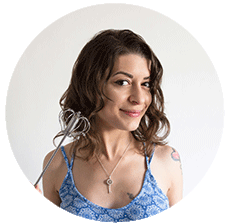 I’m so excited to share with you the most epic The Petite Cook giveaway EVER, just in time for the Christmas holidays! I’ve teamed up with the amazing team at Vorwerk, to offer you the chance to win one of their incredible Thermomix® TM5!! Mine is irreplaceable, and I’ve been using it for making the most delicious food, so I’m super excited to give you the chance to enjoy this incredible device too! If you’re not familiar with it just yet, the new Thermomix is one of the smartest devices on the market, combining 12 essential appliances into one to save you time, money, and stress – especially over the holiday season! 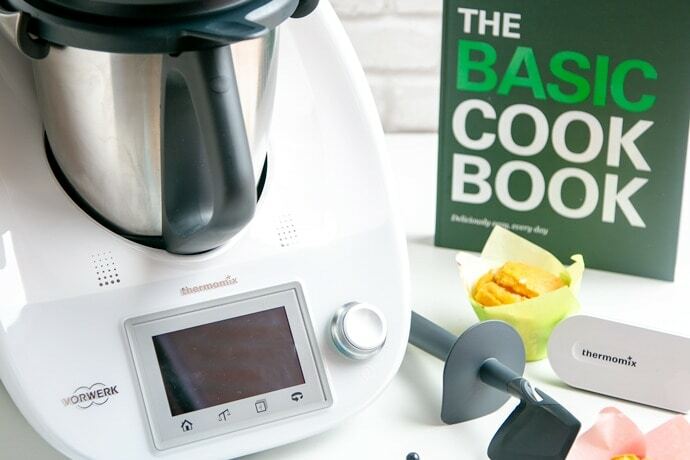 Thermomix is a multi-functional premium kitchen appliance that is loved by Michelin starred chefs and novice cooks alike, because it’s simply the perfect cooking companion. This ultimate kitchen gadget weighs, chops, blends, mixes, grinds, grates, cooks, steams, whisks and kneads, all at the touch of a button. Plus, it comes with a full colour touchscreen that displays step-by-step recipes. Its digital ecosystem can help plan shopping lists, prepare meals and guide users through easy to follow recipes, meaning less time is spent in the kitchen and more time enjoying the end result. I mean, I can totally get why a Thermomix is sold every 26 seconds across the globe! 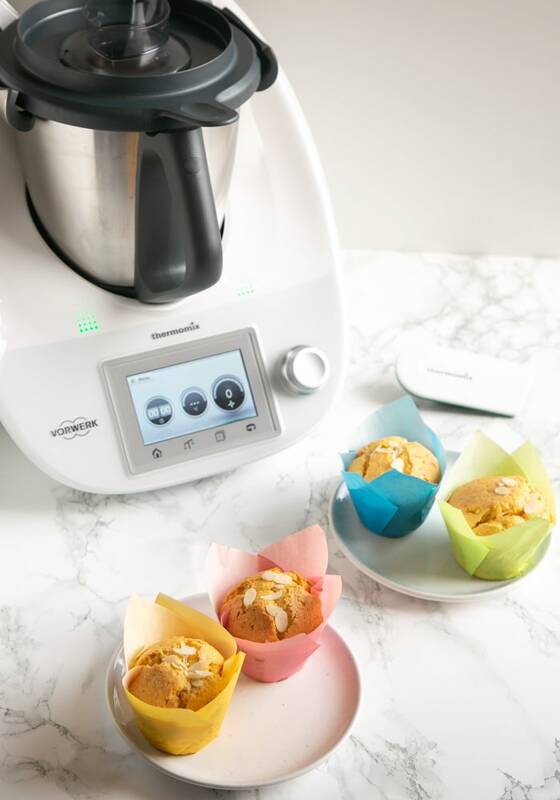 You can make the most of your Thermomix by joining the Cookidoo® community, an online collection of over 20,000 Thermomix recipes from all around the world, that can be easily downloaded to the smart Cook-Key, one of my new favourite kitchen devices! The Cook-key® allows to connect your Thermomix and download any Cookidoo recipes. Once you have chosen your recipe, sync the Cook-Key via Wi-Fi and then simply follow the super easy on-screen step-by-step instructions to get your delicious meal ready. Using my Thermomix, I’ve recently made some delightful camille carrot almond mini cakes found on Cookidoo, delicious Italian custard cream and loads of soups, bolognese sauce and new exciting baby recipes for my toddler. And everything I made so far tasted amazing and involved a fraction of the time. I can’t believe I’ve lived without a Thermomix until now, it makes my cooking life infinitely easier! WHERE CAN YOU BUY THERMOMIX? 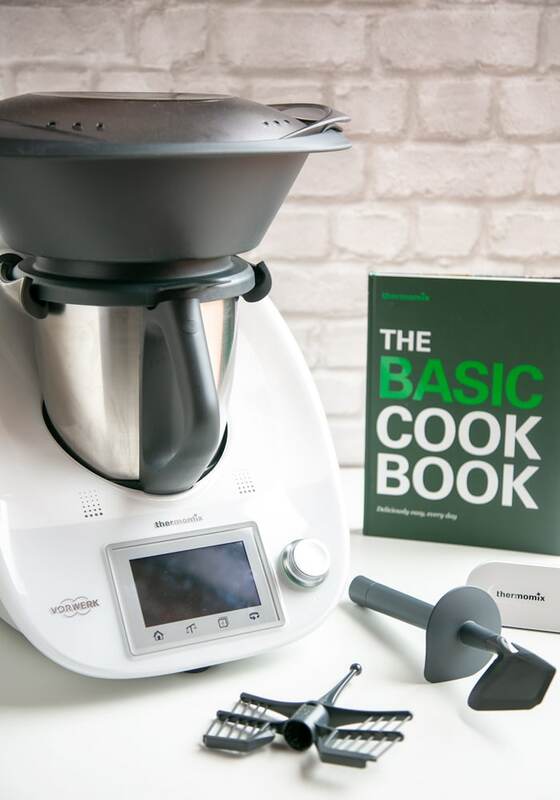 Thermomix is exclusively available to buy directly from dedicated sales advisors. This ensures you receive a full introduction of the machine, and a comprehensive demonstration of its unique functions. For more information on demonstrations and purchasing a Thermomix click here. 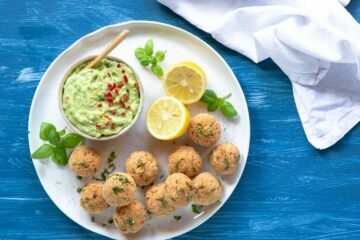 To be in with a chance of winning 1 Thermomix® TM5, all you have to do is enter via the Rafflecopter form below (give the Rafflecopter widget below a moment to load, if you don’t see it, refresh the page). You can even win extra entries by tweeting and/or following The Petite Cook and Thermomix UK. This giveaway is open to +18 UK & Ireland entrants, and runs until 11.59 pm on Saturday the 30th of November. Winner will be randomnly selected and contacted via email. Chicken & vegetable soup…… mmm I can almost taste it! Andrea I remember first seeing these at BBC Good food show about 6 years ago I was impressed they made soup and then straight after an ice cream – I would try ice cream for my first go. I’m a bit overwhelmed by the prospect of using something like this. I think its first use would be for something simple. I would probably make something like a lasagne, and employ this for certain tasks. Such as grating, cutting etc. I’ve seen an amazing looking recipe for mulled wine brownies so i’d give these a go. I’d make spicy pumpkin soup first! I would give bread a bash! I think I would try some homemade vanilla bean ice cream. i had a glut of green tomatoes which i froze, so some kind of soup to use these – just what that soup would be, i am not sure? All in one roast beef! Something simple like fairy cakes. Oooh, a New England Clam Chowder- don’t need to go all the way to Boston anymore! My kids are always asking me to make an authentic Mexican mole, but it can be so time consuming. However, the Thermomix would make it so easy!!! I’d make my leek, potato & onion soup. I would make a hearty, warming beef stew. 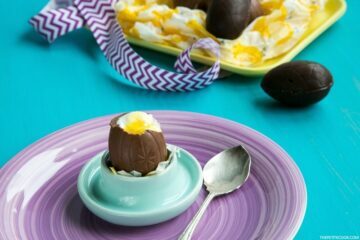 I would love one to Experiment with different Styles of Cooking, FAB ! After looking on their website Play Dough! Then actual food I like the look of the risotto – I would love to see it done in one of these! what a wonderful gadget, I would look at making a healthier thing, but still yummy, maybe jambalaya? Well my mother in law is one of these awkward people born just before Christmas lol, she wants me to make her cake so I think that would be the first thing I would use it for. I would try making a Calzone! I would make some leek and potato soup – a favourite. I’d make tomato, basil and red pepper soup. My husband has been asking me to make a bread pudding. I’d love to try the Thermomix to make the dough for my Polish dumplings – pierogi and perhaps some of the fillings that require fine chopping. Intruiged! I would make dough for bread rolls I think! With the weather getting colder I think it would be my special chicken noodle soup. There are so many things ! Braised beef cheeks, fish chowder, slow cooked lamb Greek style..
i would use it to make some lovely soup. I would try all in one roast beef! I love beef! What an interesting gadget! Never seen one of these before! This looks amazing! I have 6 kids… busy household! This could make my life that little bit easier! Love it! A meat and vegetable stew, ready for winter! Some chewey cookies i think…. A Tomato & Basil soup would be nice. I don’t know quite where I would start! I would love to try the potato gnocchi recipe, and also the carbonara! The two grain veg risotto also looks delicious…I just hope my family are feeling hungry if I’m lucky enough to win because there will be plenty of food coming their way! Turkey and cranberry burgers ! Cheese fondue and home made bread. using the thermomix to weigh the ingredient. Using the thermomix to chop the cheese, garlic and salad.The thermomix will also knead the bread ready to cook for the fondue. A great fondue!!! I would probably try making a salsa or homemade sauce. The first recipe I’d try would be a warming vegetable soup. 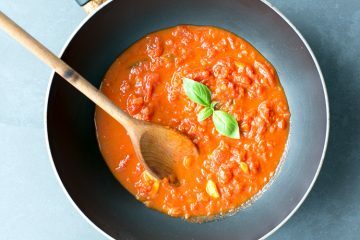 A tomato and basil soup. Some broccoli and Stilton soup. My favourite and perfect comfort food for this weather! a nice Roast dinner for sure! I would make a chicken and veg soup, perfect along side our homemade bread! Leek and Potato soup sounds yummy! What a clever machine. I would go for my favourite soup recipe of courgette and hoummus. I recently saw a good recipe for making Lemon Curd in a Thermomix, so that is something I would like to try first. I would probably try some kind of soup to start off with. Maybe a butternut squash one. A lovely warming ‘everything I can throw in’ soup for winter tastiness! I’d try out the STRAWBERRY WHITE CHOCOLATE COOKIES, thanks for the chance to win. I really like the sound of the camille carrot almond mini cakes you found on Cookidoo, so I’d like to give those a try. I would make a store of nut and fruit butters. Healthy and delicious AND a fraction of the price of shop bought varieties! I’d try making some bread! I would try the fanciest bread recipe thst I could download! Good for a bolgnaise. Yum! I would probably try a new winter soup recipe if I won the Thermomix. I sounds awesome!! Cauliflower cheese soup sounds like it would be made very nicely in this!